The Apostle Peter (also known as Saint Peter, Simon Peter, and Cephas) was one of the 12 main disciples of Jesus Christ, and along with James and John, he was one of Jesus’ closest companions. After the resurrection, Peter became one of the most influential Christian leaders in the first century, and according to Catholic tradition, he was also the first pope. Based on Matthew 16:19, Peter is sometimes referred to as the “gatekeeper” of heaven, and over the last two millennia, countless pieces of art and literature (and jokes) depict him waiting at the Pearly Gates to decide who gets in and who doesn’t. Peter was a fisherman by trade, along with his brother Andrew (also a disciple of Jesus), but he grew into a gifted preacher and bold leader. In the gospels, he’s portrayed as impetuous, always speaking his mind and acting on impulse. In the Book of Acts, Peter’s decisiveness transformed him into someone the early Christians constantly relied on and turned to. While Peter didn’t write any of the four gospels himself, he plays a major role in all of them, and tradition holds that the Gospel of Mark records Peter’s account of Jesus’ ministry through his companion, John Mark. Did Peter write part of the Bible? Is Saint Peter waiting at the Pearly Gates? For starters, here are some quick facts about Peter. Peter is known by several other names in the Bible. It’s common for Bible characters to go by two names, use a nickname, or like the Apostle Paul, to have one name in Hebrew and another in Greek. Peter’s original name was Simon, but Jesus called him Cephas (John 1:42), which is an Aramaic word that translates to Peter (Petros in Greek). As a result, Peter is also referred to as Simon, Simon Peter, and Cephas. Here are the main things to know about Peter based on the gospels, the Book of Acts, and the epistles. Peter’s brother Andrew is the only family member we see regularly in the gospels, but the Bible doesn’t have a lot to say about him, either. Like many of the disciples, Peter was a fisherman. According to the Gospel of Matthew and the Gospel of Mark, when Jesus first met him, Peter was fishing with his brother Andrew. Jesus famously said, “Come, follow me, and I will make you fishers of men,” and Peter and Andrew immediately left their nets and followed him. Interestingly, the Gospel of John has a very different version of how Peter met Jesus. His brother Andrew was a disciple of John the Baptist and heard what John said about Jesus, so he brought Peter to meet him (John 1:40–42). It’s worth noting though: John is the only one who records another miraculous catch of fish which takes place after Jesus’ resurrection. Jesus and his disciples frequently travelled by boat, and it’s likely that they relied on the experience of Peter and the other fishermen during these times. When the group encountered a fierce storm on the Sea of Galilee, knowing Peter’s trade makes it more significant that the disciples thought they were going to die (Luke 8:22–25). As fishermen who worked on the Sea of Galilee, storms wouldn’t have been new to Peter and the others, but they couldn’t rely on their experience to save them this time, and everything they knew about boats and water and weather led them to believe this was the end. After the resurrection, Peter decided to go back to fishing (John 21:3), and several other disciples joined him. Without Jesus physically there to follow, they returned to what they knew before they met him. Peter, Thomas, Nathanael, James, John, and two other disciples were fishing when Jesus appeared to them a second time after the resurrection. According to the Gospel of John, when Peter learned it was Jesus on the shore, he dove into the water and swam to him. Fun fact: All three of Jesus’ closest disciples (Peter, James, and John) were fishermen. Another fun fact: Peter’s father was named John or Jonah (Matthew 16:17; John 1:42) . . . so as a fisherman, he probably got more than his share of “big fish” jokes. Catholics argue that the phrases “on this rock I will build my church” and “I will give you the keys of the kingdom of heaven” are an explicit promise to make Peter the leader of the church—the first pope. Others argue that “this rock” referred to a physical location, or that Jesus simply meant he would be an important leader, and that he wasn’t necessarily establishing the papacy or giving Peter “primacy” (authority) over the other apostles, which the New Testament may or may not support. There are three occasions in the gospels where Jesus only allows Peter and the sons of Zebedee (James, and John) to witness things none of the other disciples saw, including the first time he demonstrated his power over death, the most powerful revelation of his true identity, and his most desperate moment. As the crowds were pressing around him, Jesus received word that the girl he was on his way to heal (Jairus’ daughter) had died. He went to her house anyways, and “he did not let anyone follow him except Peter, James and John the brother of James” (Mark 5:37). In the house, only the girls parents and the three disciples watched as Jesus raised her from the dead. Upon seeing this, Peter says, “Lord, it is good for us to be here. If you wish, I will put up three shelters—one for you, one for Moses and one for Elijah” (Matthew 17:4). But Jesus had no intention of staying on that mountain. They weren’t going to set up camp and chat with Moses and Elijah for a few days. This moment helped solidify Jesus’ true identity, which could be why while Peter was still speaking, God interrupted to say that Jesus was his son (Matthew 17:5). Not long before this moment, Peter called Jesus the Messiah (Matthew 16:16). Now he knew: God hadn’t just sent his people a savior. He sent them his son. On the night he knew he would be captured, Jesus took his disciples into Gethsemane, as he often did (John 18:2). He told them to keep watch while he prayed, and then he took Peter, James, and John with him. While the three of them struggle (and fail) to stay awake, Jesus prays fervently, asking God to find another way to save his people. Peter, James, and John are the only ones who see Jesus suffer in the garden, and his desire to be vulnerable with them but not the others further demonstrates their privileged relationship with him. Paul argued that if not even Peter, James, and John had nothing to add to the gospel he preached, why would the Galatians accept someone else’s teaching that did? According to church tradition, Peter was killed by Emperor Nero around 64 AD, after the Great Fire of Rome which he famously blamed Christians for starting. A second-century apocryphal text called Acts of Peter was the first record claiming Peter was crucified upside down because he didn’t consider himself worthy of dying the same death as Jesus. In the last chapter of the Gospel of John, Jesus tells Peter, “when you are old you will stretch out your hands, and someone else will dress you and lead you where you do not want to go” (John 21:18). The author then remarks, “Jesus said this to indicate the kind of death by which Peter would glorify God” (John 21:19). Eusebius, the father of church history, quotes Origen (a second/third-century scholar) as saying, “Peter was crucified at Rome with his head downwards, as he himself had desired to suffer” (Church History). In Jewish War, Josephus, a first century Jewish-Roman historian, notes that Roman soldiers didn’t always crucify people “rightside up,” and that they would try different positions for entertainment. The Catholic church regards Peter as the first pope, and argues that the Bible supports this position as well as early church writings. For Catholics, the “rock” Jesus intended to build his church on was Peter, but that’s not how Protestants read this declaration. For them, Jesus was merely stating that the church would be built upon the rock of confessing Jesus as Messiah and Lord. By giving Peter “the keys to the kingdom of heaven,” it is believed that Jesus gave Peter the authority to allow others access to his kingdom—to open the door or gate so that others can enter. In Acts, Peter is the first to “open the gate” for Jews (Acts 2), Samaritans (Acts 8), and Gentiles (Acts 10). 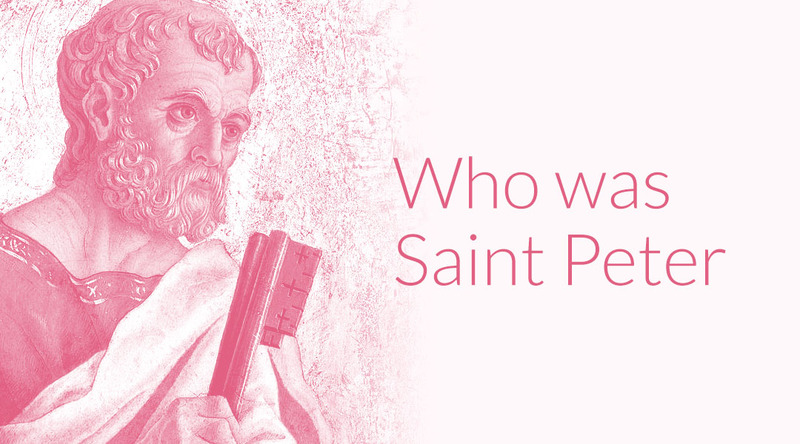 Catholics and Protestants debate about whether Scripture and church history show that early Christians recognized Peter (and the bishops who succeeded him) as a higher authority than other apostles and bishops. Peter doesn’t claim a special authority in the gospels, Acts, or epistles, and beyond Paul’s nods to Peter being a pillar of the church, we don’t see him personally elevated above the others. In fact, when the church needed to make a major decision in Acts 15, the apostles appear to defer to another pillar of the church: James the Just (brother of Jesus and author of the Book of James). Not to mention, in Galatians 2, Paul says he publicly corrected Peter, which would be difficult if Peter had total authority over the church. Ultimately, Protestants believe that Peter was clearly not the first pope, and Catholics believe he clearly was. What we can agree on is that the Bible’s authors give Peter more attention than any other member of the Twelve. In the lists of the Twelve, Peter is always listed first, and Matthew explicitly refers to him as “first” (Greek: protos) among the apostles (Matthew 10:2). Peter is one of the most prominent figures in the gospels and Acts, and Paul refers to him throughout his letters. Peter is often the first one to state the obvious and say what everyone else is thinking (or at least what he’s thinking), and he takes center stage in numerous biblical accounts. Here are some of the highlights of Peter’s unique role in the gospels and the early church. Peter’s bold reactions often get him into trouble, but in this case, it allowed him to participate in a miracle the other disciples merely witnessed. Peter wasn’t actually the first disciple to recognize Jesus as the Messiah. The Gospel of John actually records that Peter’s brother Andrew told him that before they even became disciples (John 1:41). Andrew was there when John the Baptist declared that Jesus was God’s Chosen One (John 1:34). Before Jesus was arrested (as a result of Judas’ betrayal), he predicted that Peter would deny knowing him three times (Matthew 26:33–35). After Jesus’ arrest, Peter followed at a distance, trying to observe without being noticed. But people recognized him. This scene is often used to highlight not only Peter’s transformation, but the validity of the gospel. Before the resurrection, in spite of all he had witnessed and believed, Peter cowered at a comment from a servant girl, fearing his own well-being for being associated with Jesus. After the resurrection, Peter willingly gave his life for following Jesus. Following the resurrection, Jesus appears to his disciples several times. One of those appearances is only found in the Gospel of John, and Jesus specifically speaks to Peter. He seems to address Peter’s earlier denial, and again positions him as a leader of his movement. It’s often assumed that Jesus asks Peter “Do you love me” three times to counter the three denials, but nothing explicitly tells us why Jesus asks this question three times. Some find it significant that Jesus and Peter use different Greek words for love. The first two times Jesus asks Peter for agape love and Peter responds with phileo love. The third time, Jesus asks for phileo love. While it’s commonly believed that these words for love were viewed as hierarchical, with agape being unconditional love and phileo being “brotherly love,” others argue that these words are used interchangeably throughout the Gospel of John, and that it isn’t significant. Regardless, Jesus specifically asks Peter to “feed his sheep,” giving him the responsibility of shepherding his followers. Jesus formally forgave Peter and restored him to his position. After the disciples received the Holy Spirit, Peter preached a sermon to the Jews, explaining how their history and Scriptures all pointed to Jesus. At Pentecost, Peter demonstrated himself to be a “pillar of the church,” building on the movement Jesus began and converting thousands of Jews into followers of Christ. While Peter would later recognize that the gospel was for Jews and Gentiles alike, the majority of his ministry was spent reaching Jewish communities, which is why Paul would later say, “they recognized that I had been entrusted with the task of preaching the gospel to the uncircumcised, just as Peter had been to the circumcised” (Galatians 2:7). Paul is known as “the apostle to the Gentiles,” and he had a huge impact on the spread of Christianity . . . but before Paul started preaching to the Gentiles, God spoke to Peter in a vision, which he understood to mean that the gospel was for the Gentiles, too, not just the Jews. While Peter was speaking to them, the Holy Spirit descended on “all who heard the message,” confirming that God made no distinction between Jew and Gentile. In Acts 12, King Herod arrested a group of believers, including the Apostle James. He had James executed (Acts 12:2), and when he saw that this pleased the Jews (whom he was trying to win favor with), he arrested Peter, too, and assigned 16 guards to watch him. The night before Peter was going to stand on trial, an angel appeared, woke Peter up, loosed his chains, and led him to safety. All the while, Paul thought he was having a vision, and that it wasn’t really happening. After he escaped, he went to John Mark’s house (John Mark is believed to be the author of the Gospel of Mark). Despite the vision and experience he had with the Gentiles in Acts 10, Peter struggled to disentangle himself from the cultural prejudice and favoritism of his fellow Jewish believers. Paul goes on to explain how he lectured Peter in front of the others. This passage is often used to illustrate that even Peter was clearly capable of making poor decisions, and received correction from other apostles. Two epistles in the Bible bear Peter’s name. Both of them claim to have been written by him (1 Peter 1:1, 2 Peter 1:1). Tradition has held that Peter is the author of these books. But before he met Jesus, Peter was just a fisherman, presumably with no formal education. So did he write these letters? While 1 Peter claims to be written by Peter, its style and language suggest the author had a formal Greek education. Dictating letters wasn’t uncommon, and it wouldn’t be at all surprising if a leader who was poorly educated solicited help from someone who had formal education. Did he write 2 Peter? It says Peter wrote it. It’s in the Bible. For most Christians, that settles it. “Disputed Books” sounds dubious—but that’s just because we’re on this side of the Christians nailing down a final list of canonical books. During Eusebius’s day, the Disputed Books were “used openly by many in most churches” (XXXI.6). Everyone agreed that 2 Peter was valuable—they just weren’t on the same page as to whether or not it belonged in the New Testament. Why would anyone doubt that Peter wrote it? For starters, the style and word choice is different from 1 Peter. But that wouldn’t be surprising if Peter relied on different writers to help him compose his letters. It appears that 2 Peter 2 may have used the Book of Jude as a source (Jude was likely written after Peter died). 2 Peter refers to Paul’s writings as Scripture (2 Peter 3:16), which implies not only that this letter came after Paul’s writings, but likely much later, when Paul’s writings were both widely distributed and accepted as Scripture. However, the teachings in 2 Peter have been valued by the church for as long as the letter has been around. And when the Catholic and Protestant churches finally made their canons official, they both considered 2 Peter valuable enough to make the grade. Did Peter influence the Gospel of Mark? Peter didn’t write any of the gospels, but tradition holds that the Gospel of Mark was written by one of his companions, a man named John Mark. It’s believed that John Mark wrote Peter’s account of Jesus’ ministry, which is why Peter is present in every major story in Mark, and the narrative is always aware of Peter’s perspective. One other verse that may connect Peter and John Mark, but it’s a dubious connection. In 1 Peter 5:13, Peter says, “She who is in Babylon, chosen together with you, sends you her greetings, and so does my son Mark.” Some argue that this “Mark” is John Mark, but Mark was also one of the most common names in the Roman world. What did the early church say? Early Christian writers unanimously claimed John Mark wrote the Gospel of Mark using Peter’s account. No other author was ever proposed. While earlier writers mentioned John Mark as a companion of Peter and noted that he wrote Peter’s version of events, the closest we have to “first-hand” knowledge comes from our old friend Eusebius of Caesarea, who possibly traced the evidence back to the Apostle John. Eusebius had access to documents that no longer exist—in fact, many ancient writings only “exist” today as quotations within his works. He claimed that Papias of Hierapolis (a church father who lived from about 60–163 AD) said John the Elder (presumably the Apostle John) told him that John Mark wrote the Gospel of Mark using Peter’s memories. Irenaeus, Tertullian, Clement of Alexandria, Origen, and Jerome all support the traditional origins of this gospel. However, the Gospel of Mark is technically anonymous, and while it’s believed to have been written before Peter died, some modern scholars reject the tradition that it represents Peter’s account, arguing that it was only attributed to John Mark after the fact. Numerous ancient books were written about Peter’s life, and some of them were falsely attributed to him. The Gospel of Peter is believed to have been written in the second century, perhaps based on oral tradition, or possibly based loosely on the Synoptic Gospels. It was lost until 1886, and the recovered fragments mostly focus on the end of Jesus’ life and ministry. It claims to have been written by Peter, but most early church fathers and modern scholars reject this authorship. The Acts of Peter was the first text to claim that Peter was crucified upside down. It features a “miracle contest” between Peter and Simon Magus—the magician Peter encounters in Acts 8. It’s believed to have been written by a man named Leucius in the late second century. The Acts of Peter and Andrew is basically just a series of miracles supposedly performed by Peter and Andrew. In one of them, Peter literally puts a camel through the eye of a needle. The book was written in the third century. Written sometime between the mid fifth and mid sixth centuries, the Acts of Peter and Paul describes Paul’s journey from Gaudomeleta to Rome. It makes two references to Paul as the “brother of Peter,” and it elaborates on real events described in the Bible (such as the confrontation between Peter and Simon Magus). The book claims to have been written by a man named Marcellus, a disciple of Simon Magus. Since Simon Magus lived in the first century, and this book appeared in the late fifth century, this is clearly pseudepigraphal. The Acts of Peter and the Twelve was discovered in the Nag Hammadi library in 1945. It’s believed to have been written in the second or third century, though it claims to have been written by Peter. The first half of the book is a parable of a merchant (who later reveals himself to be Jesus) who is selling a pearl. The second half is a gnostic explanation of what it means. Fun fact: Many ancient gnostic texts falsely claimed to have been written by apostles or famous biblical figures to lend credibility to their theology. The Gnostic Apocalypse of Peter (also known as the Coptic Apocalypse of Peter) was also recovered from the Nag Hammadi library. 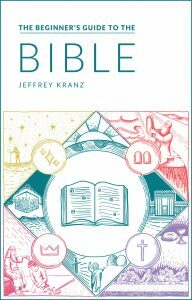 Written around the second or third century, this text offered a gnostic perspective on the crucifixion and criticized the traditional Christian understanding. This pseudepigraphal letter was found in the Nag Hammadi library, and is believed to be from the second or third century. The letter claims to be written by Peter, and describes a post-resurrection appearance of Jesus, during which Jesus blends gnostic and orthodox teachings. The Apocalypse of Peter, also known as the Revelation of Peter, is a first-century text that was lost until 1886. In the early church, it’s canonicity was disputed, but it was apparently very popular, and it was sometimes read in church. The text itself recounts visions of heaven and hell which Jesus gave to Peter. It describes the specific pleasures and punishments people will receive for their virtues and their sins. It didn’t make it into the biblical canon. In addition to the apocryphal works that claim to be written by Peter and those that focus on him, there are also several gnostic gospels that supposedly quote Peter, including the Gospel of Thomas and the Gospel of Mary. Peter is often portrayed in art and literature as the gatekeeper of heaven, deciding who does and doesn’t get in. This trope comes from Matthew 16:19, when Jesus says “I will give you the keys of the kingdom of heaven,” but beyond that, this picture of Peter is only loosely based on Scripture. Nowhere does the Bible give us this picture of Peter. But given Jesus’ remark in Matthew 16:19, it isn’t surprising that this would come to be a popular picture, or that this picture would evolve into a mythology about Peter. Peter’s writings may or may not have made it into our Bibles. 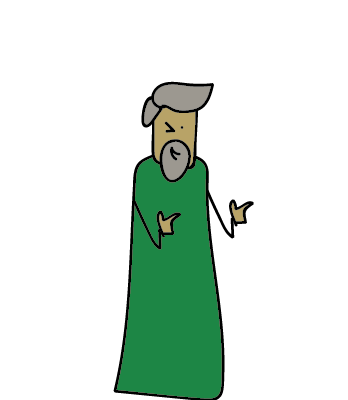 But his teachings and influence on the early Christian church are impossible to miss. In the gospels, Peter’s brazenness shows that God uses even the most unwieldy people to advance his kingdom. He was one of Jesus’ most trusted companions, and as a result of what he witnessed, Peter, an uneducated fisherman, became one of the most important leaders the church has ever known. He also played a pivotal role in bringing the gospel beyond the Jewish community, even if he wasn’t the official apostle to the Gentiles. This man who was once afraid of being associated with Jesus—even if only in the eyes of a servant girl—was eventually willing to literally take up his cross and give his life for Christ. And while his teachings have likely permeated through the church over the centuries, making them hard to trace, his life still gives us a clear model of what it means to be fully devoted to Christ. Well done. There is one error in your pictograph. Under Part of Jesus’ Inner Circle, you have Peter and James but I suspect you meant John and James. To be fair to the Catholic side, a little more information about Isaiah 22 needs to be given, specifically it should be mentioned that Shebna was the ‘master of the palace’ and this connection of Peter being given this same role by Jesus makes that position of exclusive leadership in the Church so much stronger. Still, you covered the issue fairly. What was apostle Peter like educationally? Was he fair in his younger years in school or poor? I’m sure Peter had some kind of schooling right? According to Scripture, Peter was not well educated. Acts 4:13 Now when they saw the boldness of Peter and John, and perceived that they were uneducated, common men, they wondered; and they recognized that they had been with Jesus.